Valves - Hositrad Holland B.V. Valves Manufactured contain carefully selected materials to reduce outgassing and give high preformance in UHV and process environments. Valve bodies and all parts exposed to the vacuum system are fabricated from 300 series stainless steel. We employ highly skilled staff using state of the art manufacturing equipment assuring precisly fabricated valves to the highest industrial standards. Welding is carried out on the vacuum side of joints whereever possible to prevent virtual leaks. The quality of manufacture and operational effectiveness of valves has been constantly demonstrated in high and ultra-high vacuum systems throughout the world. 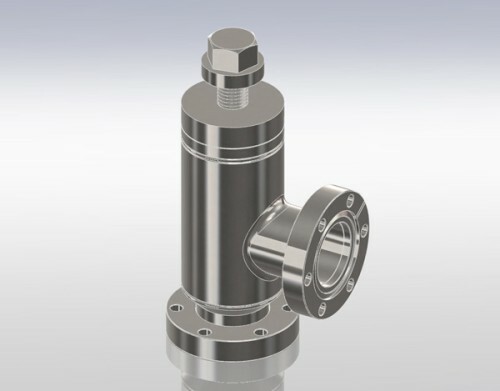 The demountable all metal leak valve is manufactured from 300 series stainless steel to UHV standards, suitable for controlled admission of gases over a wide pressure range. Fine control is achieve via the graduated thimble and lever. 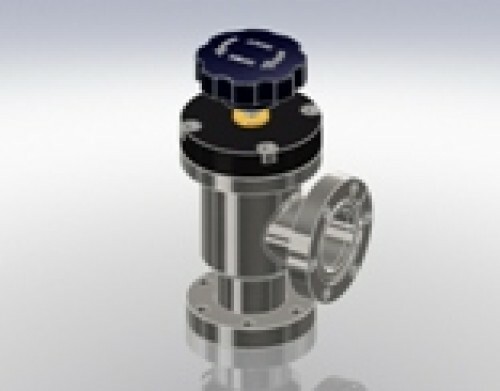 The lever, used as a reducing mechanism, gives controlled leak rates ranging to 10-11 mbar l/s-1. Simple rugged design has produced a reliable valve which can be fitted to vacuum systems with absolute confidence. Stainless Steel ball valves are cost effective straight through high conductance valves. 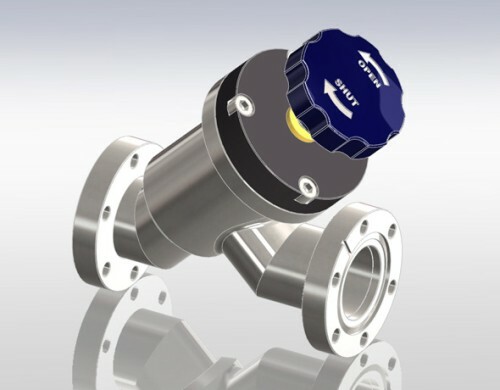 Their simple, robust design provides high reliability in low vacuum applications. Ball vales are commonly used on CVD equipment downstream from the chamber or vacuum pump to isolate traps or abatement tools. A quarter-turn of the handle quickly switches the valve from open to close. Hositrad`s ball valves offers straight- through, unimpeded flow with minimal space requirements, and they would be applied for high pressure, high temperature environment. Angle valve is one type of the poppet valves. When the poppet is moved toward the top of the valve the internal body cavity is open to the system andd flow is unimpeded (maximum conductance). Once the actuator moves the poppet to the bottom of the valve an elastomer sealing ring is compressed onto the sealing surface of the lower body of the valve. This action creates a vacuum tight seal and stops the flow. Hositrad offer a wide variety of valve types in a comprehensive range of sizes. They have manually and pneumatically, and with bellows. Port terminations are available in KF, ISO, CF, and Tube End. 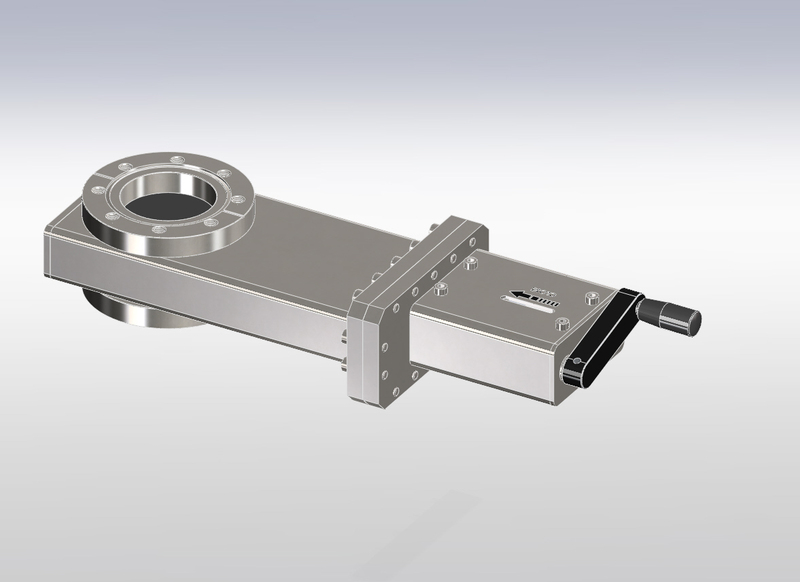 Hositrad designs all series angle valves suited for vacuum applications with venting processes, high vacuum applications in pumping systems, semiconductor technology, research systems, etc. body. Hositrad offers gate valves that have two series, one is HV series and the other is UHV series. body on a set of wheels, moved back and forth by a manual or pneumatically-actuated valve stem.